It probably would have been more helpful for the Washington Post to have stumbled upon this storyline BEFORE the election. This economic recovery has been a big disappointment relative to what the United States has usually experienced after a recession. 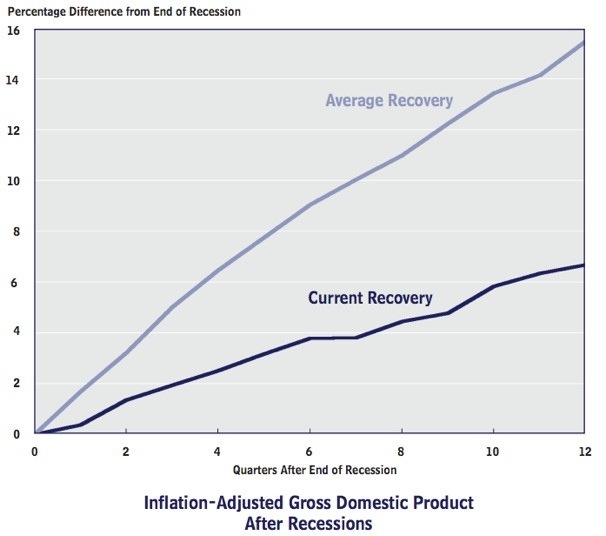 Growth has been 9 percent below what was seen in past recoveries on average in its first three years. The CBO report tries to disentangle where that underperformance is coming from and its answer is deeply unsettling: The U.S. economy just isn’t as good at growing as it used to be.